One of the most versatile fitness machines is cable crossover stations. There is a wide selection of exercises available even to the most restrictive ones. One of the aspects that some of these cable crossover stations offer is their use of Olympic or Standard weight plates that leaves a lot of space for increments and weight adjustments. One of the crossovers that fall under this type is the Powerline PCCO90X. The Powerline PCCO90X Cable Crossover is a training machine that is manufactured and sold by Body Solid. 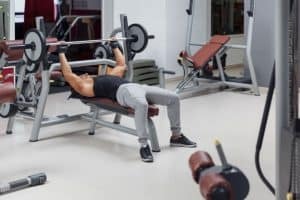 Body Solid offers a lot of models and home gym equipment, and one of their most affordable and durable models is the Powerline. The Powerline Cable Crossover is one of the best ways to achieve an overall body conditioning as it is a strong performer. It has a reliable design that helps you exercise every major and minor muscle in your body virtually. It also has a sturdy and stable construction; it has an extra tall and wide mainframe that provides you with immediate and easy access to numerous arrays of low and high pulley exercises. You will have an unlimited exercise option when you get the PCCO90X Cable Crossover from Powerline as it a functional and a versatile machine. It also has a professional system with carriages that utilizes the patented bushing technology made from nylon, and it has an eight-ball bearing that is sealed and resin pulleys that are high. The bottom and the top pulleys all swivel fully and smoothly with at least a 180-degree movement for frictionless and stable guidance in different directions. The Powerline Cable Crossover PCCO90X is built using high-quality materials, and it guarantees a usage life that will last for decades. 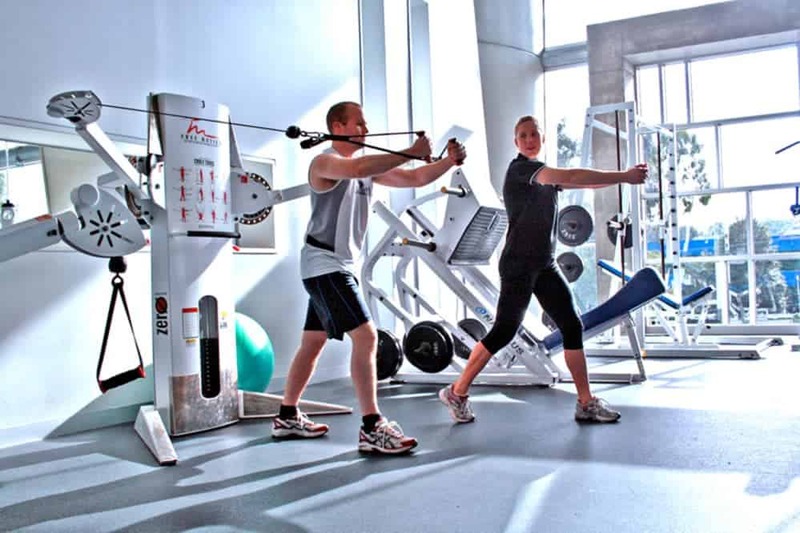 The Powerline Cable Crossover equipment is an excellent addition to any gym. Body Solid Inc. is one of the leading manufacturers and distributors of high-quality equipment for fitness and health. Their products are perfect for home and commercial use. Body Solid has been on the market for more than 20 years, and they offer one of the best and widest selections of products and services in the industry that includes free weight machines, weight plates, multi-station gyms, a line of cardiovascular equipment, dumbbells, and other fitness accessories. Body Solid Inc. was founded in 1989, and they had grown from their original 10,000 square foot old warehouse to a 200,000 square foot manufacturing and distribution facility. They also opened their headquarters outside Chicago, Illinois and they cater to their customers worldwide. They sell their equipment in Canada, the United States and in at least 100 countries worldwide. The company’s dedication to ensuring high-quality craftsmanship, value and customer service has allowed them to develop a solid reputation within the industry. They are known for their lifetime warranty and their commercial warranties. One of their best products is the Powerline PCCO90X Cable Crossover equipment that has functional training added. It allows you to develop and to adapt exercises which are made to focus and improve on your performance of both everyday and sports specific activities. It helps emphasize the natural ability of the body to move in at least six degrees of freedom which can help you gain better balance and stability, thus decreasing your chances of injuries. If you are looking to achieve a total body workout and build the body type that you have always wanted, then the Powerline Cable Crossover equipment is the one for you. It has a tall and extra-wide mainframe that gives you easy access to an endless array of low and high virtual pulley exercises. 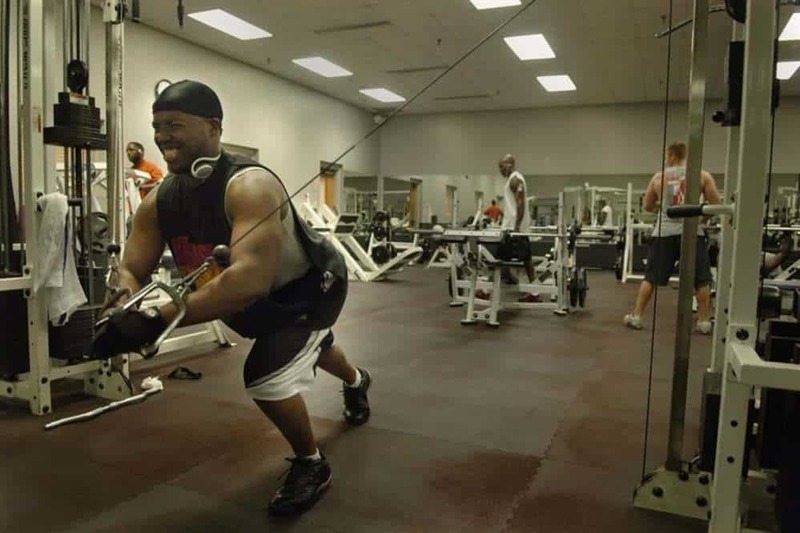 This machine also lets you exercise every muscle in your body. This is also the most suitable equipment for sports enthusiasts and athletes. It has a professional system with carriages that uses the four resin pulleys that are high and that are located on each side of the machine with patented bushing technology made from nylon and the eight ball bearings that are sealed for a continuous and smooth movement during your cable crossover workout. The bottom and the top pulleys are designed to swivel smoothly for a frictionless and easy pull in all directions. The Olympic and the Standard plates that the machine accepts are sold separately. It does, however, come with two cable handles and one ankle strap. The machine weights at around 133 pounds and it is easy to assemble with a measurement of 112 by 39 by 82 for its length, width and height so anyone can assemble it. 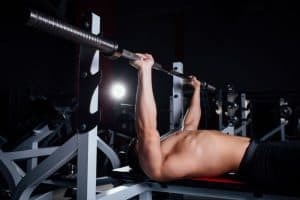 It also comes with a 10-year warranty for the frame and a year warranty for the other parts so if you are a beginner when it comes to bodybuilding or when it comes to simple workouts then this is a significant investment. The carriage system in this equipment helps you in carrying the weight that is attached to it, and it also helps you to complete your exercises using the plates. The nylon brushing and the eight ball bearings that are sealed helps the user operate the machine smoothly while working on all of their muscles. It can also help with the overall durability of the machine. The mobile frame parts of the machine which holds the plates feature nylon bushings and it glides smoothly on the bars vertically. There is also a silicone lubricant spray that is supplied with the equipment, it is applied to the bars and the insides of the mobile frame to ease the gliding motion. This machine accepts both Olympic type plates and the standard plates that are used continuously in the gym. They are sold separately, but they fit perfectly with the crossover machine. 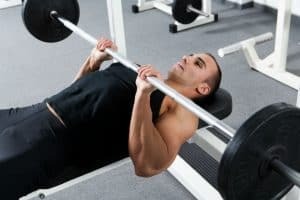 This machine does not have a maximum user weight specified which is why it is advisable that you do not use the top, a transversal bar of the equipment for chin-ups or other exercises. It does not matter how much you weigh but the bar is not stable enough, and it may bend, or the equipment may have stability issues if it is used by a user that is more massive than 91 kg or 200 lbs. If you weight more than what is recommended, it is advisable not to do chin-ups just yet. The bases, the top bar and the mobile parts which hold all of the plates and weights are coated with gray paint. The sidebars of the machine have a chrome finish. It also has a footprint of about 112 inches for length, 39 inches for width and 82 inches for height so it could fit in a room with at least 7 inches ceiling. It can accommodate users with a height of 6’5. The only accessories that are supplied with this machine are two cable handles and one ankle strap. The cable handles are made of stainless steel, and it has a chrome finish. It also features rubber-foam grips that can prevent any sort of damage to your hands during your workout sessions. The ankle strap is simple as it is padded with synthetic wool. Although the tools that are required to assemble the equipment is not included, it is fairly easy to assemble. You need a metric wrench set or at least an adjustable wrench. You will also need an Allen wrench set and a Philips screwdriver. The assembly of this machine is not complicated, and it comes with a manual that can guide you. The whole assembly process will not last for more than an hour. As for the maintenance, it requires lubrication now and then especially on the sidebars. The silicone spray is supplied so that you can lubricate the gliding parts of the machine’s frame, and it can help everything to move smoothly. It can also help fix the pulleys if they begin to squeak. The machine’s frame comes with a 10-year warranty, and all of the other parts come with a year warranty for each. The Powerline PCCO90X Cable Crossover has an astonishing 4.5 out of 5 stars overall review from its customers. Most customers have stated that the machine is effortless to set up and it lives up to their expectations. There are also no issues in sliding the weights up and down. The instructions that come with the machine are also explicit, so there should be no issue in following it. The lubricant is also effective in using around the frame and the sides of the machine, so you can use it for as long as you want. 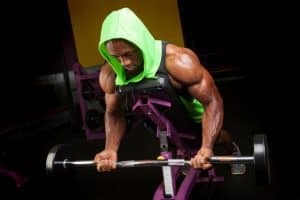 There are instances wherein parts are missing after shipment; however, the customer service department of Body Solid Inc. is always more than happy to help customers who do not get all of the parts that should be included in the package. What is the maximum weight capacity of the machine? The maximum weight capacity of the machine when it comes to the user using the bar is around 200 lbs or 91 kg. The bar is not as sturdy, so it might bend when used by someone who weighs more than 200 lbs or 91 kg. As for the plates, each side of the equipment can hold up to 200 lbs or 91 kg, which is a total of at least 400 lbs all in all. It is best not to exceed 200 lbs on each side of the equipment for comfort and for smooth operation. 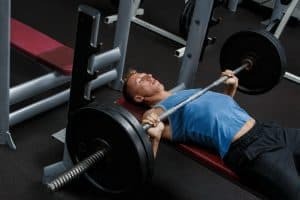 What are the exercises that can be done using the equipment? Yes, the equipment does come with a warranty. The frame comes with a 10-year warranty while the other parts come with a year warranty for each. The Powerline PCCO90X Cable Crossover is definitely one of the best bodybuilding and workout machines in the market today. 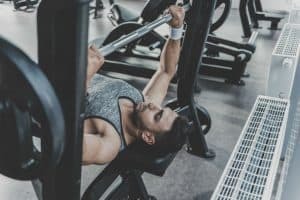 It is excellent for exercises that focus on your triceps and traps, and this also includes exercises such as pullovers, bench presses, ab crunches, shoulder presses and more. This equipment features large diameter pulleys that have maximum cable life, and it is known to have a smooth operation. If you are thinking about working out in the comfort of your own home, then this equipment is for you. Get a full body workout with just one machine.